Which station am I entering? Which station am I exiting? Which combination of trains should I take? In which direction should I take each train? Alternatively, use Google Maps, the MTA Trip Planner or some of the mobile apps mentioned in the Miscellanous section. There are many ways to get from point A to point B. Your trip will likely involve taking a few trains and making one or two transfers. 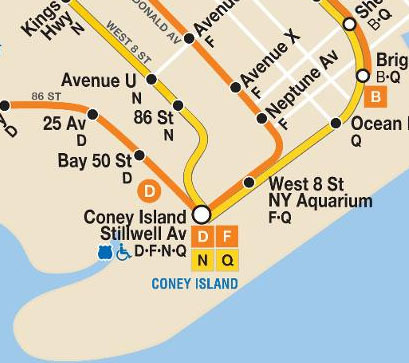 Make sure that the stations you are considering are indeed served by the trains you intend to take by looking for the single letter/number service designations below the station on the map. The most common mistake tourists commit is take an express train and then wondering why it does not stop at certain local stations. Use your physical map or the map on your mobile phone (or ask a local) to find the closest subway station. Sometimes it's beneficial to walk to a station that is farther away to catch a more convenient service depending on where your final destination is. 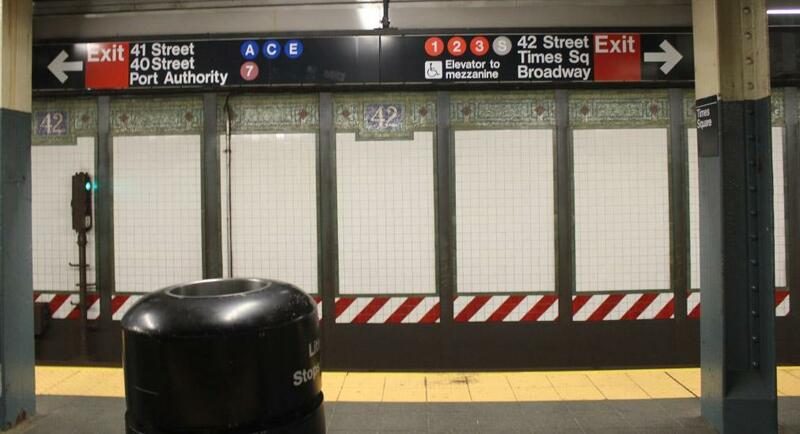 Because subway trains are really long, a subway station may have many entrances and exits. Not all entrances are created equal. 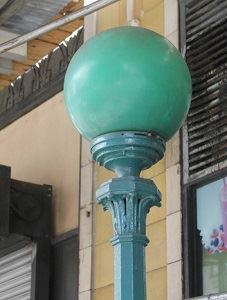 Exit-only staircases are marked with a solid red globe. 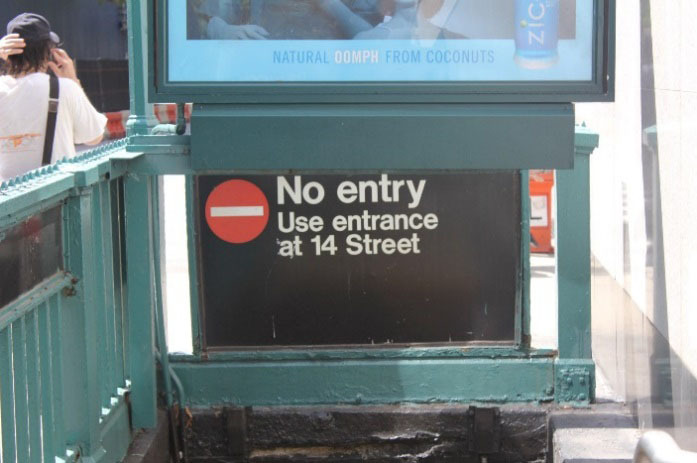 More importantly, some entrances can only be used to access trains in certain directions. This is clearly stated on the sign above the entrance. 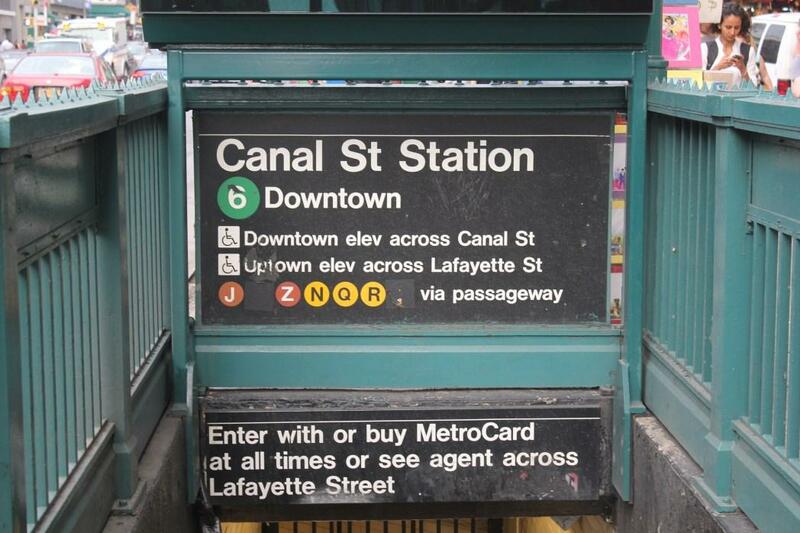 In this example, you can catch the Downtown 6 train from this Canal St. station entrance. You can also catch the J, Z, N, Q, and R trains (in all directions) from this entrance via a free passageway (tunnels). In case you didn't notice the red globe I mentioned earlier, this staircase is an exit only. 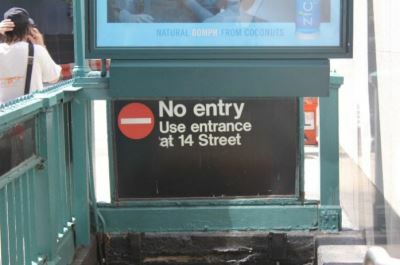 You cannot enter the subway from here; you have to find another entrance to this station nearby. 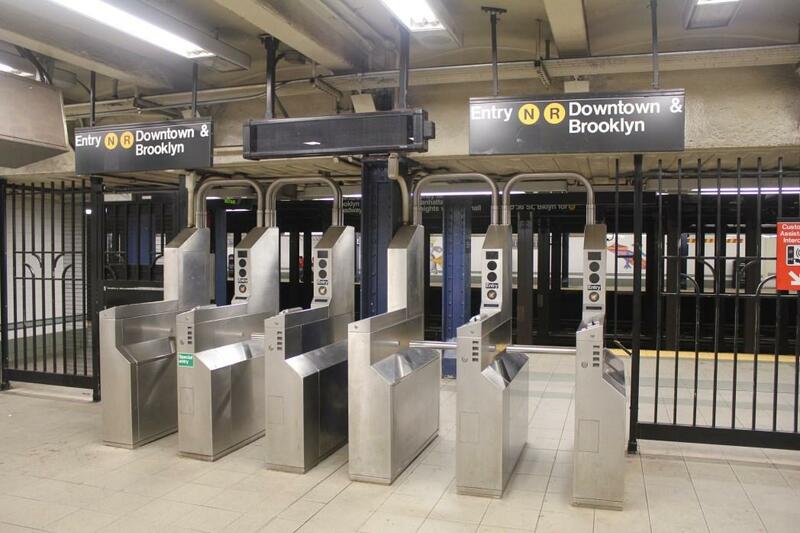 Before entering the turnstile, be sure that this is the right place to enter. Notice in the picture above that this is the entry only for the downtown and Brooklyn-bound train. For uptown service, you have to find another entrance. 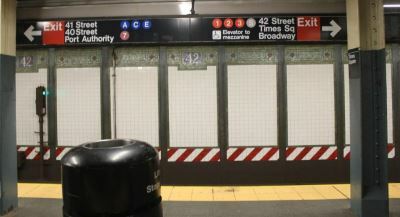 In some stations, once you are in, it's impossible to get to the other side of the platform without leaving the subway system again. This means paying a second time with your Pay-Per-Ride MetroCard, or waiting 18 minutes or walking to another station for those with an Unlimited Ride MetroCard! If the machine can't read the card, it will ask you to swipe the card again. Most tourists fail because they swipe too slowly. Imagine holding the card in your hand, locking your arm, and just walking through the turnstile at regular walking speed. 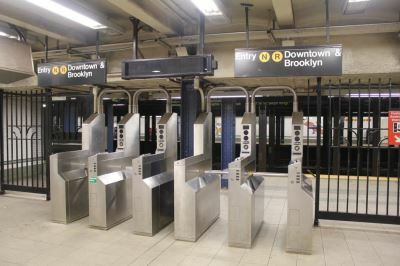 If you fail to swipe properly, don't try your luck at another turnstile. 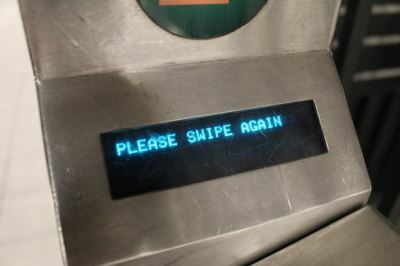 It is important to keep trying to swipe at the same turnstile. 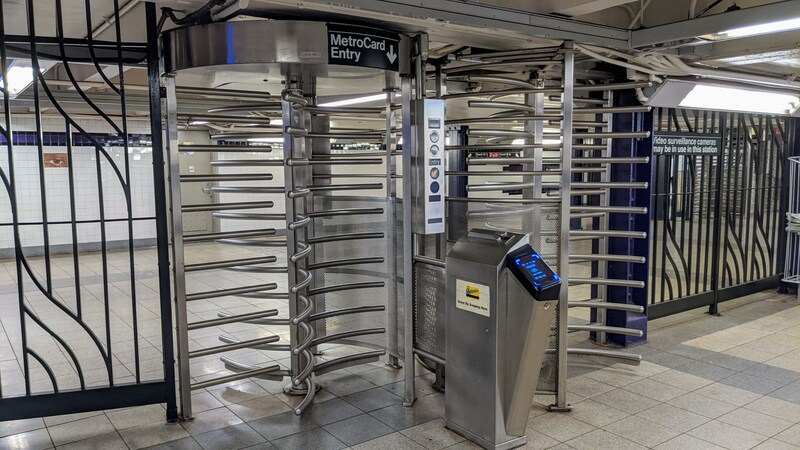 Trying at another turnstile might render your card useless for 18 minutes because it thinks you have already used it. 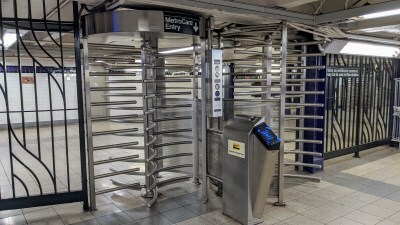 A quick caution about the revolving doors: these doors are already locked into a position that allows you to simply go through them by pushing on them. There should never be a need to pull on the door to "turn it into a position for you to enter" -- doing so will actually count as a turn and you end up wasting a swipe. Once you enter the system, you can put your MetroCard away. You won't need it to exit. All directional signs have arrows. These signs tell you in which direction to walk to get where you want to go. 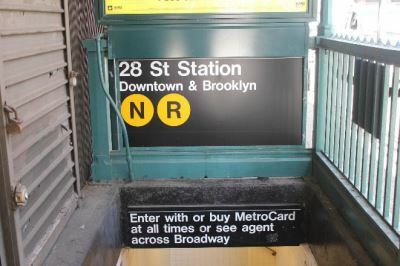 The arrow applies to the entire sign - so in the picture immediately above, the sign tells you to go downstairs to catch the Uptown B, D, F, and M trains as well as the Uptown 6 train. 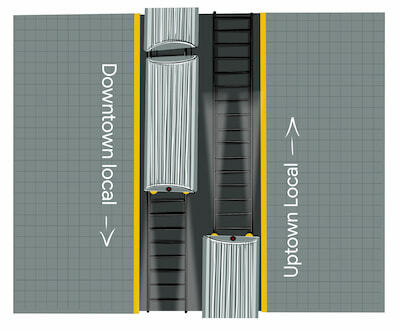 The local trains travel on the right side (like regular traffic on the streets above them), with the local platform to enter them along the right side of the direction of travel. Sometimes you have express tracks in the middle that allow express trains to overtake the local trains, but these express trains will not stop here. 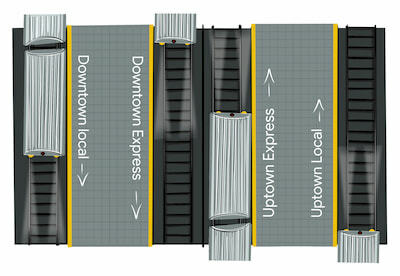 Either there will be a middle platform, where you can enter the express trains in either direction (depending on which side of the platform you stand), and the outer platforms serve a local train service in one particular direction, or you'll find a station that has a designated uptown platform as well as a designated downtown platform where each side of each platform will give you local vs. express access. 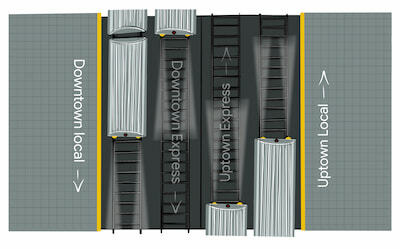 Note that the schematics above are simplified and assume uptown/downtown directions while you are in Manhattan. 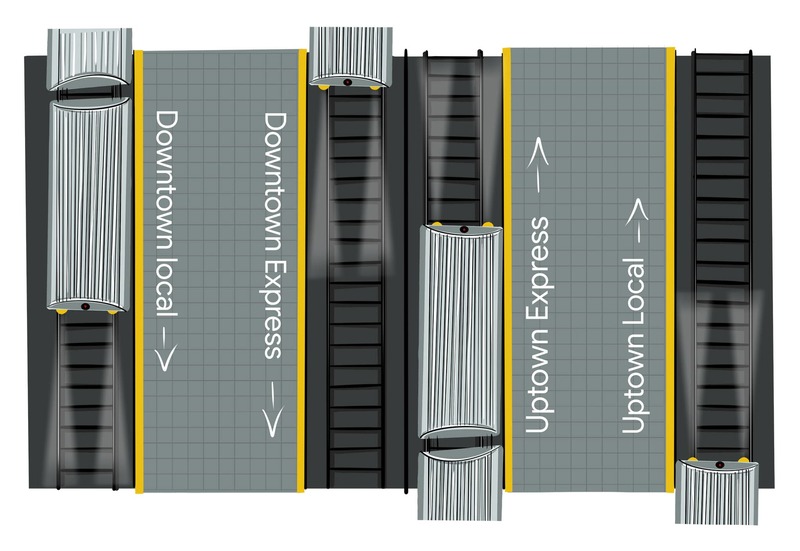 It works conceptually the same in other boroughs with local trains tracks generally being on the outside and express trains tracks on the inside. 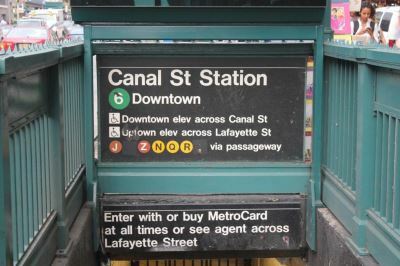 As you can see, these signs tell you the service designation (A), the train's direction (downtown), but more importantly the name of the very last station of the train. By looking at the very last station of a particular train on the map, you can determine whether that train is going in the right direction for you. Instead, these signs are telling them to keep walking to the left or right to reach those trains. 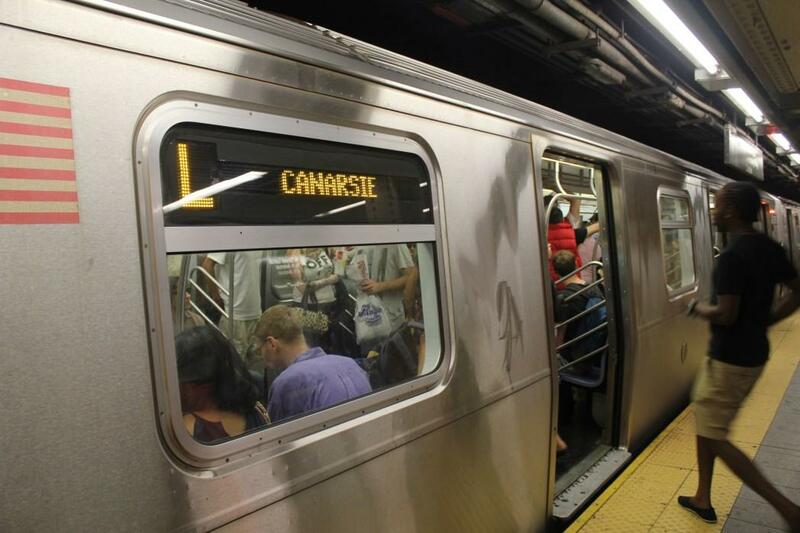 A New York subway train consists of a series of passenger cars. While there are doors between the cars, it is illegal and very dangerous to move between them. 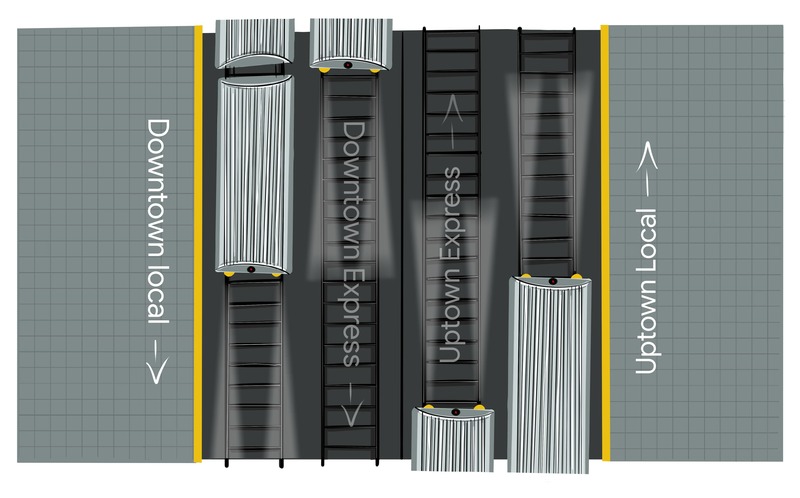 Most trains have 10 cars which make them long enough to cover an entire platform. However, the C, J, Z, M have only 8 cars, while the G train is especially short, so you might have to stand in the middle of the platform for those. Although trains do run on set schedules, it probably suffices to just go down into the station and wait for the next train, which should arrive anywhere between 2-5 minutes during rush hour and 10-20 minutes at night. 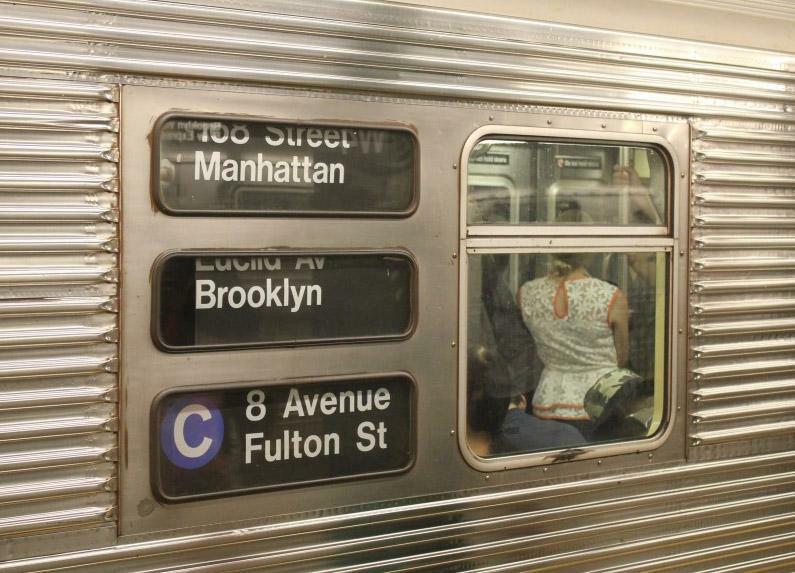 The subway system runs 24 hours per day and never closes (You've heard that New York never sleeps, haven't you?). With a few exceptions you could catch nearly any train at 4 a.m. if you wanted to, although the wait might be long. These displays tell you the order of trains (1st, 2nd, 3rd, 4th, etc. ); the train service (5, 1, and 2); the last station and, hence, direction of the train (Bowling Green, 14th St., Flatbush Ave.); and the estimated arrival time. Some displays also tell you the side of the platform you should expect the train to arrive on (the 14th St.-bound train on the left, the Flatbush-bound train on the right). The first line always displays the next approaching train (1. ), whereas the second line will alternate between all subsequent trains (2., 3., 4., etc.). 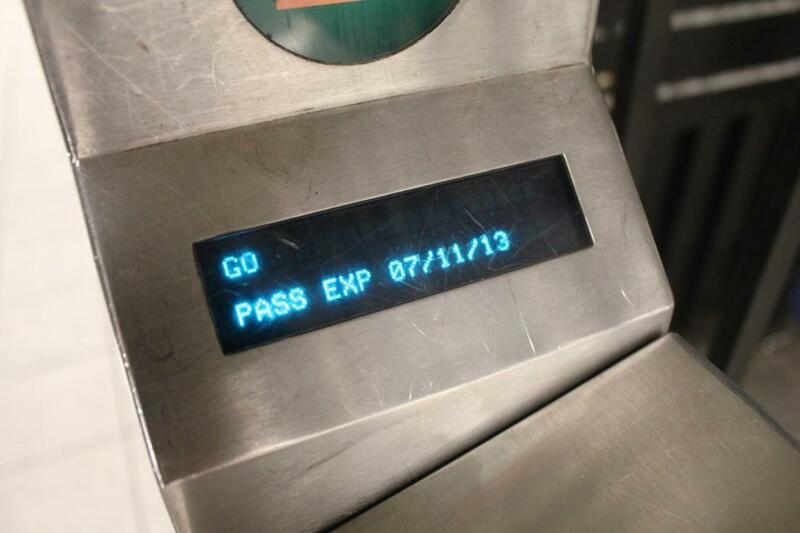 If the first line turns yellow and is blinking, it means that the train just entered the station. Because a single platform can service different trains, you want to confirm that an approaching train is indeed the train you are waiting for. 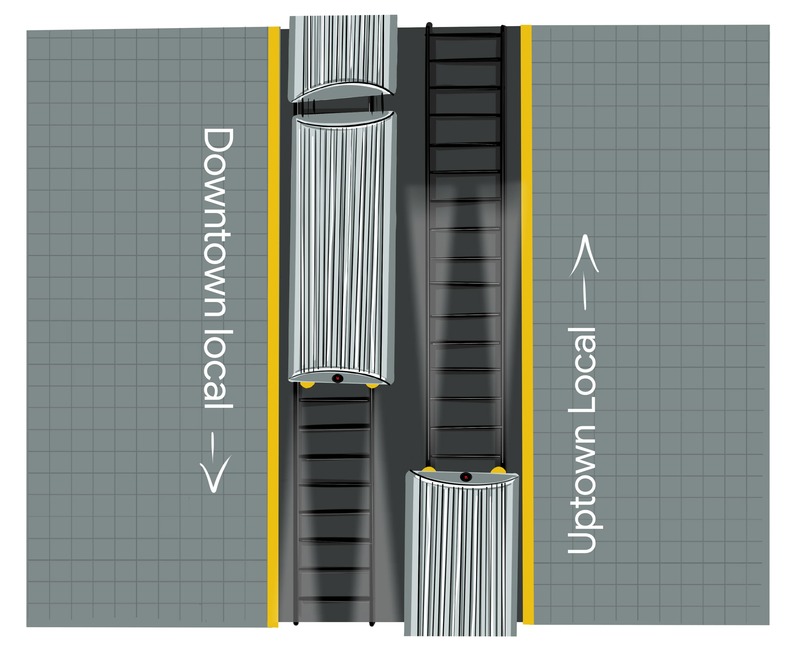 Once the train car's doors open, let passengers exit first before you enter. Once you enter the car, be sure to walk all the way in to let others behind you come in as well. Trains can be very crowded during rush hour. It's normal to find yourself sandwiched between people. Also make sure to find a pole to hold on to as the train's sudden acceleration and movements can easily throw you off balance. Below some station names on this map are other connections that you can take. 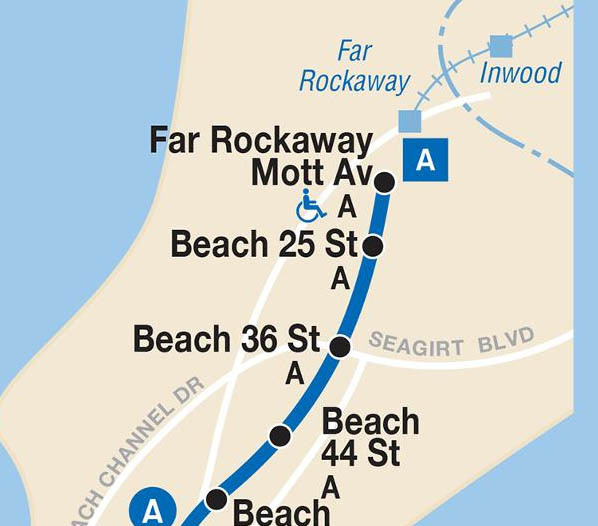 For example, at 74th St.-Broadway, you can connect to the E, F, M and R trains as well as take the Q32 or Q47 bus to the airport. 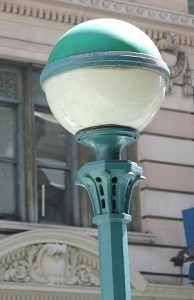 The large lighted arrow on the end indicates the direction of travel (in relation to the map). Yellow lights indicate subway stations that are coming up. I took this picture on a train from the 59th St. station to Grand Central-42nd St. The last stop of this train is Bowling Green. 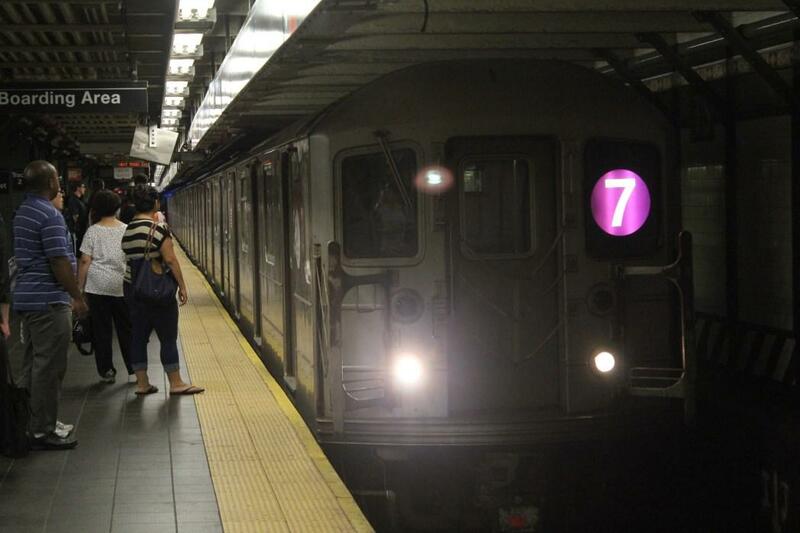 When the train enters Grand Central station, that first yellow light will also blink. 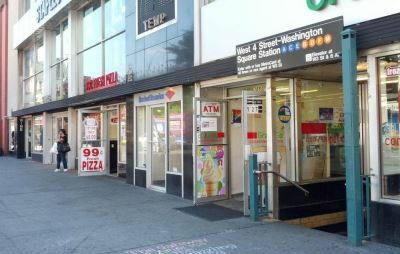 Here we are at Times Square, where you can transfer for free to the 1, 2, 3, 7, A, C, E, Q, R, and S trains, and also walk to the Port Authority Bus Terminal (PABT). 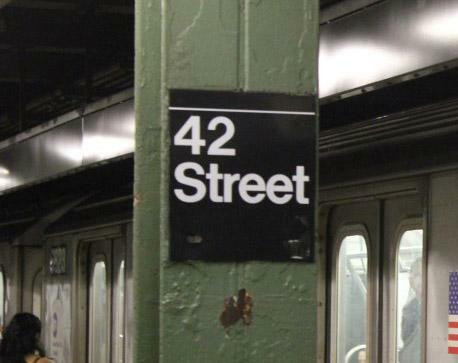 The next station is 49th St. The display keeps on updating (shifting left) as you travel. Besides the station displays I previously mentioned, the conductor will also announce the upcoming station name, although hearing (and understanding) the announcement can sometimes be difficult. 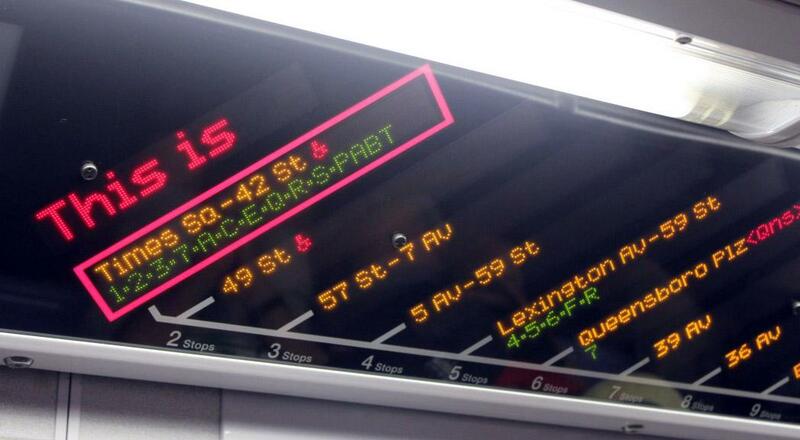 Note that conductors sometimes announce numeric station names using single digits for clarity. 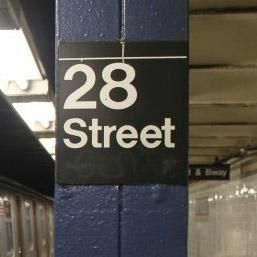 For instance, the 125th station is often announced as "next station one two five" instead of "next station one hundred twenty fifth". 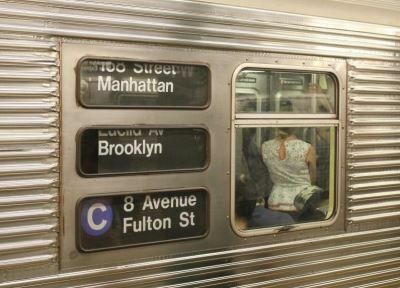 The doors can open on the left or the right side of the train, and there are no indicators that tell you on which side the next station will open. 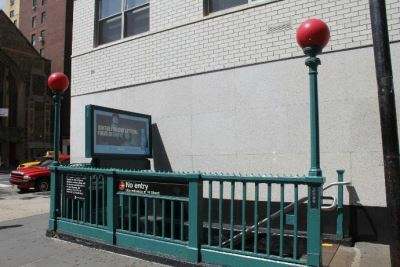 After you leave the subway car, follow the signs with the arrows to transfer to another service or follow the red exit signs to leave the subway system altogether. 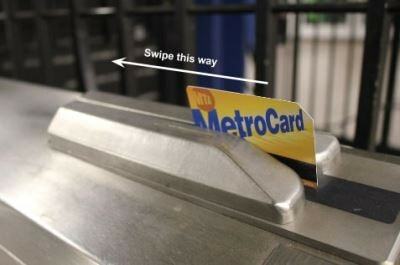 As you go through the turnstiles or revolving doors again to exit the system, you won't have to swipe your MetroCard. 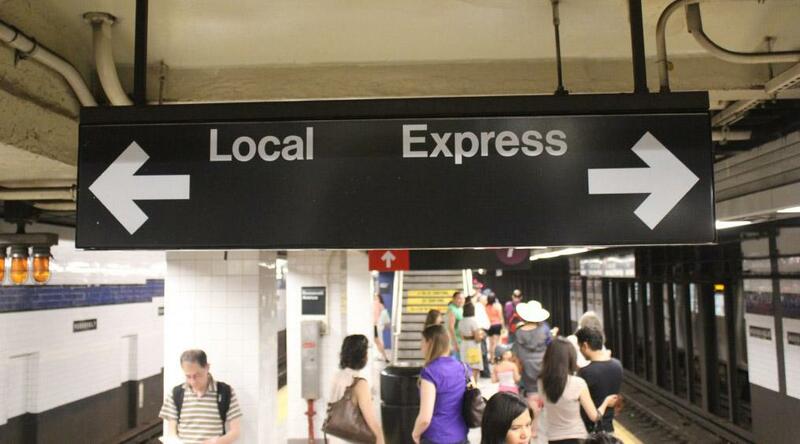 Right before you exit the subway station, look at all the exits available. Usually those exits are marked as NW exit, SW exit, NE exit, SE exit that indicate compass directions. If you know where you want to go on the map, these clues can help you leave at the most convenient exit. Look for landmarks. By remembering that the Chrysler building and Empire State building is in Midtown and that the One World Trade Center is downtown, you can deduce your orientation based on where you spot these landmarks.